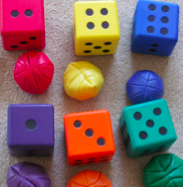 Can we purchase beanbags, dice, or miniature mats if anything gets lost or stolen? Yes. Please call us at (888) 842-7746 or email us here to receive additional information and pricing.